Shin-Chan is a 5-year-old kindergarten boy. He lives in the suburbs with his father, a mischievous boy who likes beautiful girls and does as he pleases. For Shin-Chan's mother and father, he is a handful. At kindergarten, his constant mischief makes his teachers angry. This cartoon originally appeared as a series in magazine for young adults. It enjoyed instant popular, not only among children, who have a lot in common with Shin-Chan, but also with adults. One of the secrets of the cartoon's popularity is its visuals. Another is the way in which Shin-Chan presents the viewer with an innocent yet satiric look at the adult world. Adults watch longingly as Shin-Chan gets away with pranks only children are allowed to pull. 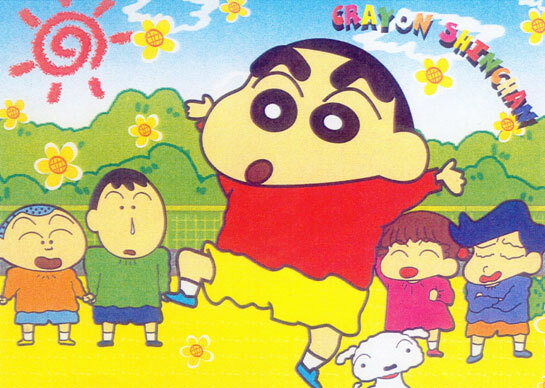 Shin-Chan's show can be appreciated be all who have experienced childhood. © 臼井義人/双葉社‧シンエイ‧テレビ朝日. Licensed by ASATSU-DK through Animation Int'l Ltd.